Yesterday was a glorious Alaskan summer day and I went searching for bears today but the action is barely average. That's wildlife action for you. It is never predictable even for my favorite bear watching spot. Came across a few Black and Grizzly bears but hardly any Bald Eagles. The salmon is plentiful. 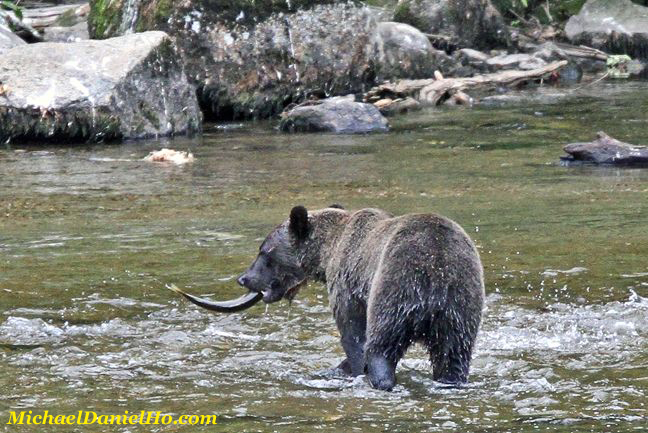 There are partially eaten fish all over the place and the bears are generally well fed and lethargic. Come to think about, I am kind of tired and lethargic myself although I can spring into immediate action if the sightings improve as the days go by. Keeping my fingers crossed.